"For me, the bassoon was simply part of my destiny"
Other than the tenor saxophone, the bassoon is perhaps the only instrument of its register that receives much solo exposure. Renowned for its unique timbre and a range that stretches up into the high treble, it has a tremendous repertoire in all forms, from chamber music to full-scale orchestra concertos. And with Matthias Rácz hitting our shores this fortnight, Hong Kong is about to get a taste of just how special the instrument really is. 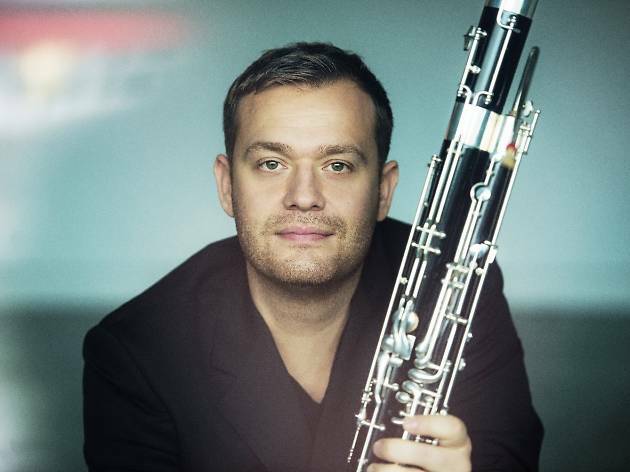 Rácz, from Germany, is not just a virtuoso of the bassoon but a prodigy of it in every sense of the word. He started learning the instrument at the age of 12 and within three years he was playing in a full orchestra. In 2000, when he was 20, the young talent placed third at the International Woodwind Competition. Since then he has divided his time between teaching and performing. In 2003, he was invited by maestro Seiji Ozawa to teach at his Music Academy Opera Project in Japan. 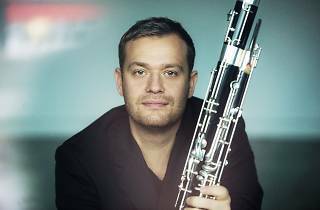 Currently a professor in Zurich, Rácz performs when he can and fortunately, he has time to talk with us about his instrument, his double reeds and his stop in Hong Kong. Do you have a personal connection with Mozart’s Bassoon Concerto? I played this concerto for the first time as soloist when I was 15 years old with the renowned Cologne Chamber Orchestra. It was my first solo concert and it received a TV recording that is broadcast even to this day. From the beginning, I was very deeply connected to this piece and, to this day, I still discover new things and secrets in it, though of course I’ve played it very often in the meantime. For me, it’s certainly one of the richest pieces in the entire bassoon repertoire. Why did you choose to play the bassoon, specifically? The bassoon was simply part of my destiny. I was 12 when a music teacher gave it to me – and I started to play it without thinking about a future as a professional musician. I liked it from the beginning and playing it somehow felt very close to my personal way of being. The bassoon is very close to the human voice and I think this is what I liked most about it. Famous as the clown of the orchestra, the bassoon is actually very rich in colours and characters. It’s an extremely expressive instrument with so many sensations, full of intensity and numerous facets. Mozart’s Bassoon Concerto is one of the popular pieces in the instrument’s repertory. Do you ever tire of performing it? Never! I know every concert could be my last one because of the secrets of life and destiny. So I see every concert as a gift and try to enjoy it as if it might be my last one. Do you prefer performing solo, with a small ensemble or in a big orchestra? I could never tell you any preference. Each way to perform has its own intensity in a different way and I think all the different ways of performing are challenging, no matter if as a soloist, as a chamber musician or as a member of an orchestra. Do you make your own reeds? All bassoonists know this question will never go away. Let’s keep it short: don’t be a slave to your reed. Meaning don’t think and don’t talk about it too much. Have you ever visited Hong Kong before? This is my first time visiting the city. I have friends from Hong Kong but my schedule never allowed me to go until now. I’m very excited about being able to get a personal impression of the interesting culture and to achieve new impressions for my life and future.